Scattered thoughts on the election and what to do next. In the wee hours of Wednesday morning, we learned who our new president is going to be. I did not vote for him, and like many I am very concerned by the prospect of his presidency. Yesterday, I spent most of the day on the couch or in bed, sleeping off the previous night, which consisted of several glasses of wine at a friend’s “election night party” and a very late-night binge of bad news and hot takes. I went to bed at 4:30 AM on Wednesday. I am not proud of this. Today, Thursday, I am now well-rested and recovered from the initial shock of the event, and it has been weird. Here’s what’s on my mind. 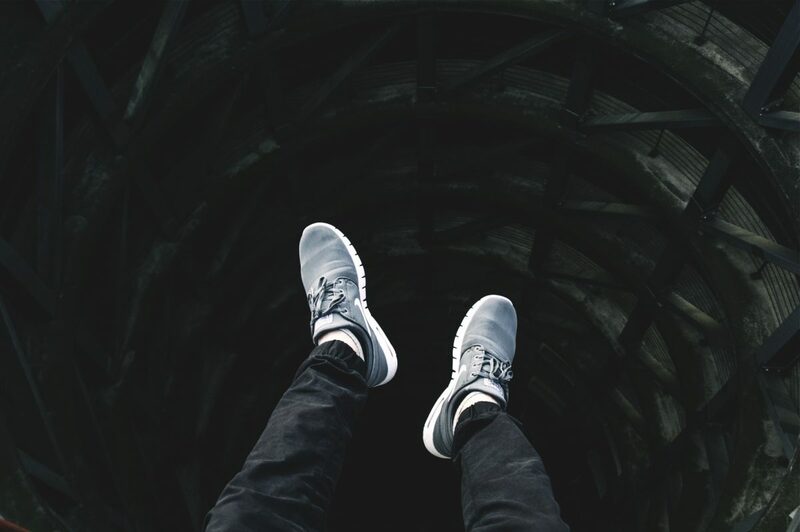 An example: Have you ever taken a walk along a cliff, overlooking the majestic view such a high vantage point gives you, peered over the lip and hear a little voice suggest, “Jump!” You’ll shudder and feel ill-at-ease. You wonder whether this constitutes “suicidal thoughts or actions” and whether you should tell your doctor about it the next time you see them. The call of the void is a somewhat antique phrase for what psychologists today call “intrusive thoughts.” Think of them as brief lapses of conscious control, a moment when the chain of thought jumps the derailleur. The key fact about intrusive thoughts is that, like swamp gas, they bubble to the surface, make their odious presence known, and then drift away. You cope with them by letting them pass. By virtue of their sudden appearance and shocking quality, the little voice is easily ignorable. Instead of answering to a sudden impulse, it’s clear that much of his following was drawn ineluctably into the his campaign and ultimate election, as if by a siren’s song, weeks and months ago. Wave upon wave of red flags were ignored like bumpy reefs on a course of dead reckoning headlong toward shore. Instead of the warm embrace of the siren, though, supporters are attracted by a simplistic image of safety, to a time before, in their eyes, America fell from greatness. I feel as though there is nothing more I can add to the discourse in these respects. No amount of personal anecdote is going to change the course of history, much less rise above the din. It seems as though stories about LGBT friends who are now uncertain about their rights, family members with “pre-existing conditions” that might inhibit their access to healthcare in a post-ACA era, people on the south side of Chicago fearing expanded police power, or sisters and female cousins who may lose control over what they do with their bodies will fall on deaf ears. Khizr Khan and Alicia Machado’s stories didn’t move the needle. Nor will more recursive analysis of the deep grievances that fueled the president-elect’s rise to power. The generalities about what motivate different segments of our population — white working class, black women, soccer moms, Latinos, etc. — now feel like tired and insufficient stereotypes from a recently bygone era. No one story will affect anything, really. And, the darker and more cynical side of me is painfully aware that the people in my orbit who can be most negatively affected by a new regime fit snugly into the very stereotypes I am so desperate to avoid contributing to. So again, I feel as though there’s nothing constructive I can contribute to the discussion of why things played out the way they did, or who might be affected. What I can contribute to is the discussion of how to go on from here. Hold their feet to the fire. Even for people like me who treat politics like sports, it can be exhausting to keep up with everything. But now more than ever it’s important to remain informed about what’s going on, so your voice can be heard. Here are some of the basics. Holding your elected officials accountable means consuming a diverse media diet and breaking out of your personal filter bubble. Actively seek out a range of sources about the issues you care about, and be sure to include those voices that don’t agree with yours lest you become as partisan and narrowly-informed as the people you disagree with. Vote in every election. I didn’t vote in 2008 or 2012, the first general elections I was eligible for. I am one of those people who believe that your vote doesn’t matter, and in the presidential race that’s pretty much true unless you live in a swing state. But down-ballot races matter, and in those smaller races your vote has more leverage. And remember The President ≠ The Government. In America, we live at the intersection of federal, state and local governments, as well as special-purpose governments like school boards, water reclamation districts, and the like. There is no monolithic entity controlling it all, so chances are you can actually pinpoint the few people in that one government office that support that policy you disagree with. They have email addresses, fax numbers and physical mailboxes that have to be checked. The attention paid to your complaint is proportional to the amount of effort you put into it: physical letters are worth a thousand angry tweets. There are over 500,000 elected officials in the USA, almost one in 400 people. The president is just one person. If you don’t like what they’re doing, then vote them out. But it’s incumbent on you to actually make your voice heard. Don’t make rash conclusions. Although I haven’t taken a course in journalism, I find myself writing a lot of things for public consumption, and I hold many journalistic best practices dear. To echo the sentiments of Brooke Gladstone, the host of WYNC’s “On The Media” and a contributor to The Washington Post, when reporting it is extremely important to focus only on what is actually happening, rather than what might or could happen. It’s my belief that that advice is applicable to leading life day-to-day. The fact of the matter is that, right now, we don’t know what a Trump presidency will look like. I have my serious doubts about his ability to be a good president, but for now I’m not willing to entertain the idea that he’s the second coming of Hitler. It might be my college-educated, upper-middle class, straight, white, able-bodied, unmarried, childless cis-male privilege talking, but I feel such comparisons are needlessly hyperbolic and that fleeing the country now smacks of a degree of cowardice I don’t feel comfortable calling out in person. At least for now, the images of sprawling internment camps for “Illegals,” Pence-mandated conversion therapy for gay kids, and other horrors are just as farcical as the “FEMA camps” Alex Jones and his ilk have been blathering about for years now. The right has been terrified that Obama would send in “jackbooted thugs” to take away our constitutional rights, and nothing happened. Now that the tables have turned, it’s no surprise that the left is entertaining its own dark fantasies about what could be. But until sales of jackboot polish start to rise, it seems like there is much ado about nothing. Giving into those fears by leaving or giving up is to answer the call of the void. This election taught me that there is a huge empathy gap between the right and the left. I really don’t know what makes some Republicans tick, and I’m sure there are things I believe that are unconscionable to those on the other side of the aisle. As someone who works in the tech sector, which has only exploded in cultural relevance and economic prosperity over the past quarter century, it’s all too easy for me to ignore the plight of those who work in fields that are on the decline. For example: I catch myself more and more saying that humans will be “abstracted away” from certain types of work, like in some cold algebraic trick, by machines. I maintain that that is still a net positive to society, but it’s a very acute loss to a certain part of the population, and something needs to be done to ameliorate the economic pain they will suffer before it gets worse. But it goes beyond token concern for those who are facing hard times now or in the future. Learning more about how “the other side” thinks, what they worry about, what motivates them, and what they want from government will help prevent the kind of blind divisiveness that seems to pervade public discourse. And it might help to cure the statistical myopia that caused this election to be such a shock. Nietzsche has this saying, “if you stare into the abyss, the abyss stares back into you.” The prospect of President Trump may seem scary to a lot of people, myself included, but there’s nothing I can do to change the situation today. There’s another election in two years, and another presidential election two years after that. Just how much damage can he do in four years? On second thought… it’s best not to answer that. That’s the void calling.